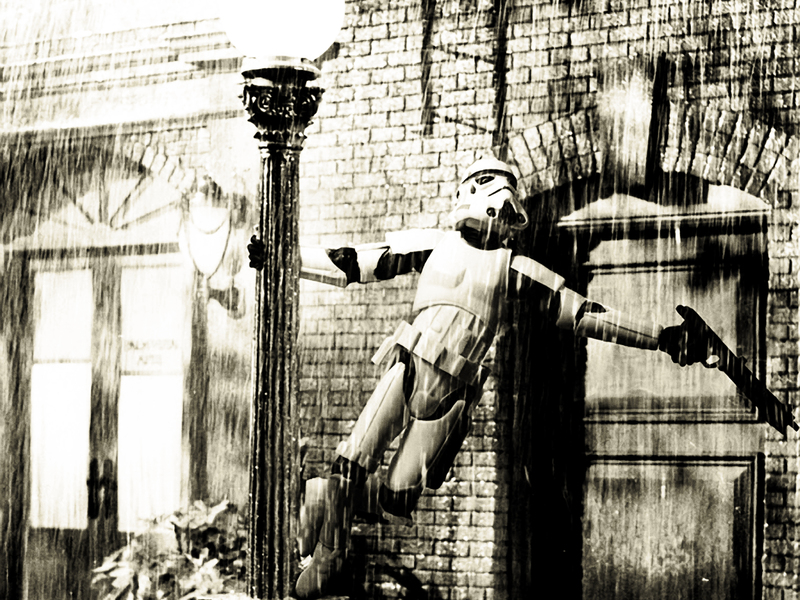 Funny Wallpaper-Stormtrooper singing in the rain.. . HD Wallpaper and background images in the Star Wars club tagged: star wars singing rain black and white stormtrooper funny fake. This Star Wars wallpaper contains street, city scene, and urban setting. There might also be brownstone, regimentals, and bandsman.